No one will be lucky enough to keep their job for the rest of their life. After all, most people grow old and grow tired — and it is one of our most important goals to savor the life that we have so hardly worked for. This moment is our retirement — when we no longer need to worry about going to work or getting a promotion or earning a raise. However, though all of us would definitely want to have a comfortable and well-lived retirement without any worry about the world, there are only very few who get to achieve such goal. So what seems to have gone wrong, after all? One of the most common reasons why there are still plenty of people who do not get a chance to enjoy their retirement is because they were not clever enough to have planned ahead. Retirement may seem to be far from now, however, planning as early as possible is the best way for us to get the kind of comfort and financial security that we are all dreaming of. And only those people who are financially secured get the chance to enjoy their retirement to the fullest. 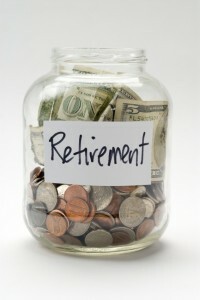 This is where the IRA, or Individual Retirement Account, appears in the picture. If you are wondering when to open an IRA, then the answer is now. You should start saving part of your income in an IRA as soon as you started to earn, or as early as possible, so you can enjoy better benefits in the future, and better income replacement. So if you ask yourself, “should I open an IRA soon?” — obviously, the answer is yes! When opening an IRA, it is always best to make sure that you choose the best IRA company, as this will greatly affect your profitability later on. Basically, there are different types of IRA, and the most popular are the Roth IRA and the Traditional IRA. It is very important to understand the difference between a Roth and Traditional IRA in order for us to know which type of IRA plan will best work for us. A Traditional IRA is a type of IRA plan which allows employed individuals who are earning taxable income to contribute part of their income before it is taxed. Thus, the money will not be taxed until the account owner decides to withdraw such funds from his account during retirement. A Roth IRA, on the other hand, allows tax-free growths for the investments, as the contributions are taxed right at the time they are made. This IRA plan is better for those people who are expecting to belong to a higher income tax bracket in the future. So if you are young, you are advised to seek assistance from your financial adviser on how to open a Roth IRA, because this is the best type of IRA plan for you. After all, younger people have greater chances of having an increased tax rate over time, and this is why you need a Roth IRA. Your financial adviser will also assist you on where to open a Roth IRA, and will surely help make the process simple and easy for you. Ready to Open Your IRA? Are you convinced and ready to open your IRA today? Trust us, you won’t regret this decision when it’s time for you to retire. To get started, you should view our recommended IRA companies and get your account setup ASAP. It only takes a few minutes to get everything setup, then you won’t have to worry about it anymore. What’s the difference between a Roth and Traditional IRA?